Every time the new year comes around, I set myself the task of being more organised. I have my diary in full use, this year I am using a daily dairy and my goodness it is helping a great deal. I write everything that is due and that I need to book in there and having it all in one place helps a great deal. I always find that at the start of the year I am so much more organised than I am towards the end of year, it all just kind of goes to pot! 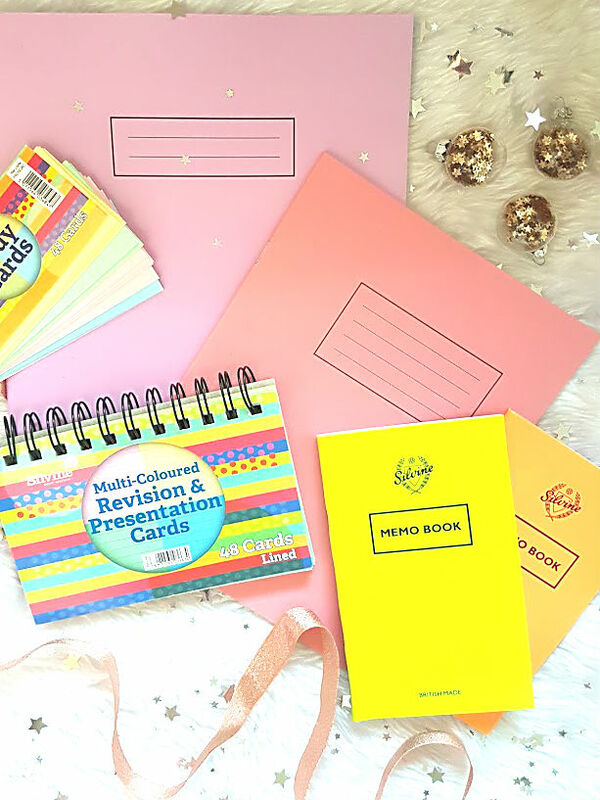 But not this year, 2018 is going to be a busy one and if you are looking at getting more organised then this is the post for you - here are some helpful tips to keep you on track. I am also very pleased to announce that I am a brand ambassador for Silvine! They are a British company that have a range of different stationery available to help stay organised all year round. 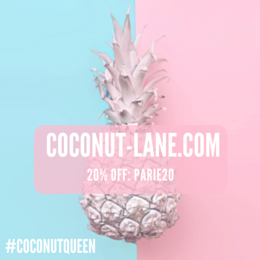 Through out this post I am going to point you in the direction of their products that make life so much easier, I have gotten so much out of them already! 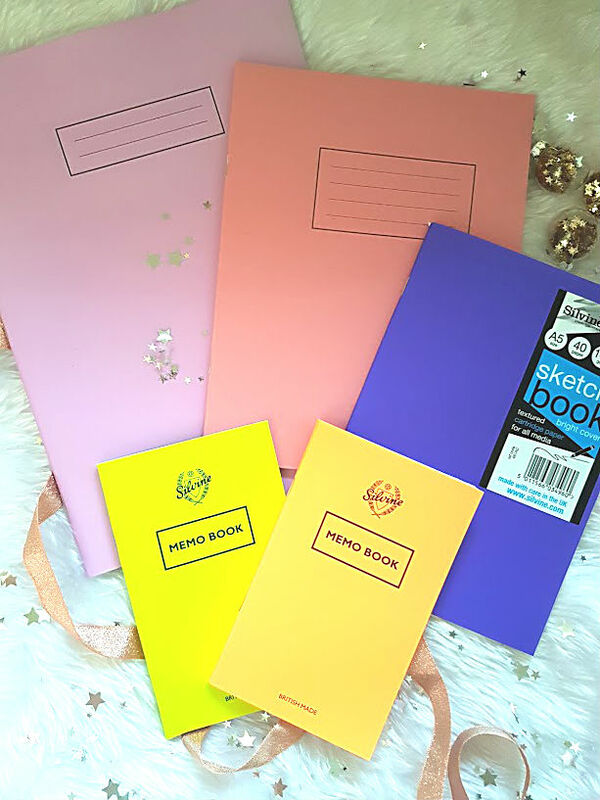 The lined jotter books and sketch books make the perfect to do pad, you can scribble to your hearts content and not worry about ruining lots of little bits of paper. If you're anything like me then getting through the to do list can be quite the task! I can get distracted so easily but writing a list that is specific and organised. > I prefer creating separate lists that can keep me going for a while. There's a life long list that includes things such as cleaning out my wardrobe ect. Then they're weekly lists that mention the more tedious tasks such as cleaning the house or sending a parcel. Then there is day lists, these are only made when needed. So on Tuesday for example if I have the day off then a list is made with the things that need to get done. > The day/weekly lists are always practical and doable, no need to stress myself out with tasks that will take far too long. Stick to the ones that need doing and that I know I can get done. > Try adding timings on to a list, so for example a blog post that you need to write for the next day needs to be done within the 11-1 bracket, so you have time to do other things. It seems quite fussy but giving timings to tasks makes it easier for your head to follow. The Silvine memo books are the cutest things! I have one in my handbag and one in my university bag ready to go and use when I need it. It is great to use when something comes to mind, jotting something down quickly or even using the paper to doodle. The size makes it convenient and handy to travel with. > One thing that I love is using those pens that have lots of different colours attached to it. This way I can have different notes in different colours; it looks pretty and it can be organised in my preferred way. > Never leave the house without a highlighter, it works to make things stand out and look bold. 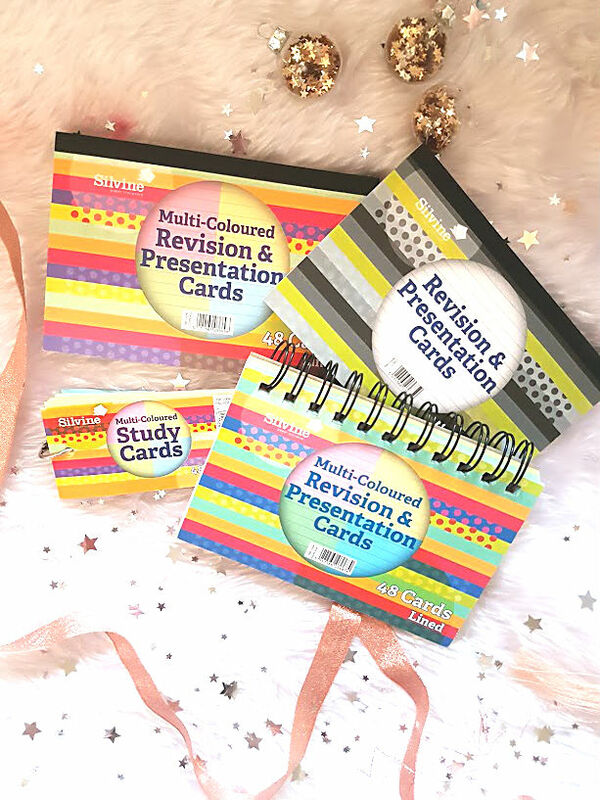 The final best way to stay organised whenever and wherever is to use revision and presentation cards! I remember using these during exam season to write notes on but I never thought about the different use that I can get out of them. > More recently, I have been using it for reminders. Writing something that I need to remember such as a shopping list or appointment time and pinning it to my notice board. This means I can see it on a bigger piece of paper compared to a post it notes and as its card it doesn't move around. > They are still very useful for revision notes, if you have exams, presentations or even an interview coming up then pop everything down in these. They are convenient and easy to use and carry round. If all this stationery talk doesn't make you want to go out and so some shopping then I don't know what will. How do you keep organised? 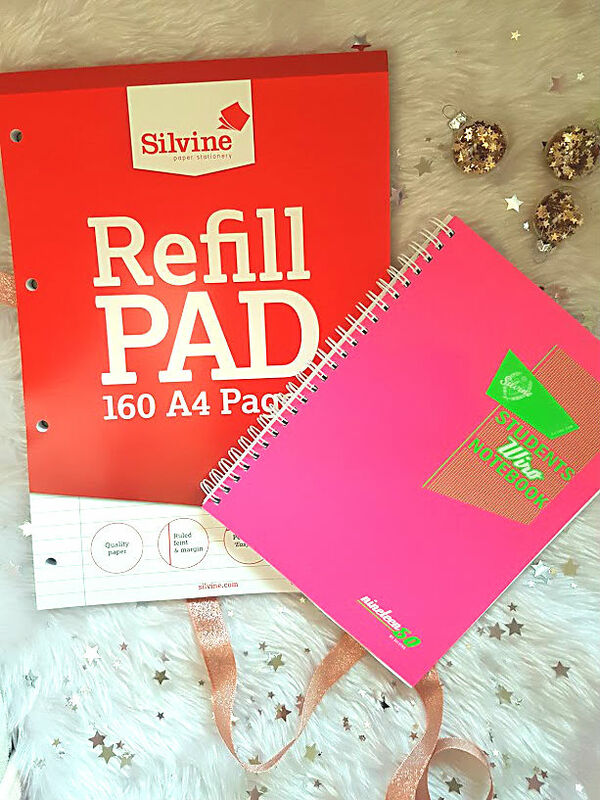 You can buy Silvine Stationery in Rymans, B&M, The Range and on Amazon.